"Legendary NYC rock powerhouse Unsane has announced summer, 2010 U.S. tour dates. The revered trio – guitarist/vocalist Chris Spencer, drummer Vincent Signorelli and bassist Dave Curran – will kick off its plan of attack with a string of special U.S. live shows this August that will see the band perform its classic 1995 album Scattered, Smothered and Covered from start to finish. The announcement of the special Unsane live shows coincides with the 25th anniversary of Amphetamine Reptile Records, once home to the band. As part of the cut to the bone August tour, Unsane will perform alongside The Melvins, Boss Hog and more as one of the featured artists at the AmRep "25th Anniversary Bash," set to take place August 27 and 28 in Minneapolis, MN. 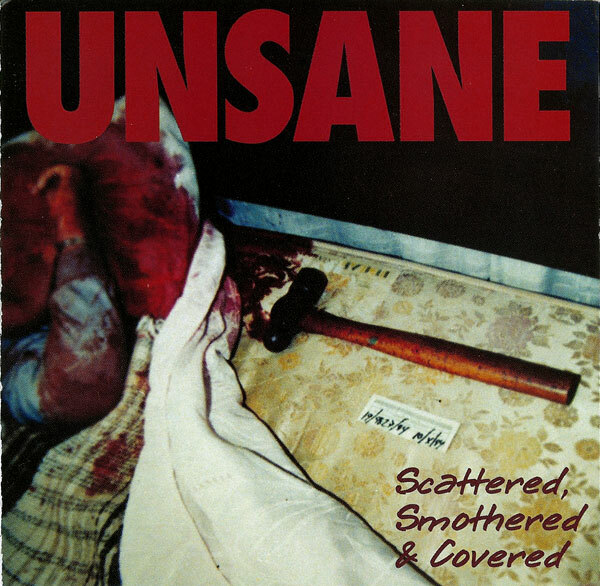 Unsane will kick off the month of exclusive events with an August 5 NYC show (at Santos Party House) and an August 7 live performance at the Otto Bar in Baltimore, MD. Headlining live dates in Toronto (Aug. 22), Akron, OH (Aug. 23), Chicago, IL (Aug. 24) and Madison, WI (Aug. 26) have also been announced. Support on the Unsane shows will be provided by Today is the Day (Aug. 22-26) and Keelhaul (Aug. 5-7, 22-26). "We're really looking forward to the Unsane shows in August," Chris Spencer comments. "The idea of performing 'Scattered, Smothered and Covered' in its entirety is something that I have wanted to do for a very long time. To do an album that I like that much from start to finish is going to be incredible. We've never done this before, and it's going to be both challenging and very exciting. The thought of being able to also do this at the AmRep anniversary show really kicks it up a notch!"